Informal events for environmentally minded people to meet over drinks to network, job hunt, share ideas, connect with new knowledge and develop momentum for creating a more sustainable Tulsa. This twosome is a match made in Hambach, France (where the smart fortwo is manufactured) and Tulsa, OK. Green cars in a city where personal vehicles are the primary means of transportation are an ideal solution to improving our air quality and fuel economy, which is exactly what you can discover at the August event. This month we will host our monthly Green Drinks at smatcenter Tulsa. Created back in 1993, these cars have been saving space on the road for over a decade. The smart fortwo is 8 ft shorter that the average American car. In fact, if every vehicle sold in the US were a smart, this would free up 24,242 miles of roadway (which is just shy of the circumference of Earth). I bet all those folks who commute to and from the 'burbs would appreciate getting home a little sooner. 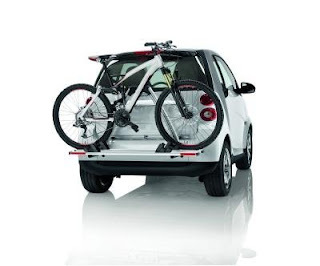 The small size of the vehicles is also part of how they maximize fuel economy. These cars get 33 city/41 highway MPG. For reference, one of the more popular SUVs sold in the US gets 11 city/16 highway MPG. That is TRIPLE the savings on emissions and (arguably) more importantly your wallet. It's not just what these cars don't use after production, it's also what they save before they make it to their happy eco-friendly owners. The parts are shipped in re-usable containers and the cars themselves are 95% recyclable. How do they do that? You'll have to come to Green Drinks and ask the specialists themselves! 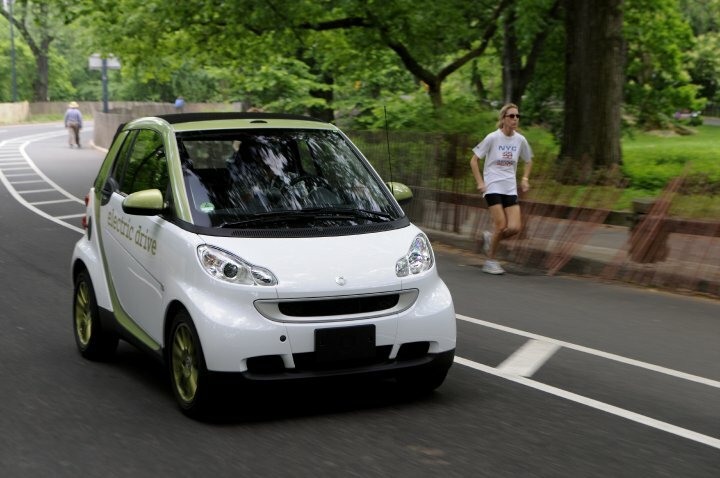 The representatives from smart center Tulsa will present the green features of the smart. Enjoy catering from Bohemia and sip on a glass-o-vino while listening and mingling. While you're at it, mark your calender for next month, because you are going get a double dose of Green Drinks. That's right. (Apparently two is the magic number these days) On September 2nd we're partnering, once again, with Booksmart Tulsa to welcome author Jonathan Safran Foer. He'll be speaking about his newest released book: Eating Animals. This event will be held at Congregation B'Mai Emunah. On September 15th you will get a once and a lifetime, complimentary treat at The Canbrake. We'll hear how owners Sam and Lisa Bracken have made this little slice of heaven the greenest resort in the Mid-West. Meanwhile you'll be able to enjoy the live music and catering. If you haven't been out to The Canebrake, I highly reccomend it. Eat at the top notch restaurant, take a yoga class, get a massage, go for a hike, just go and unplug!! It is an awesome, awesome (yeah, double awesome) place.